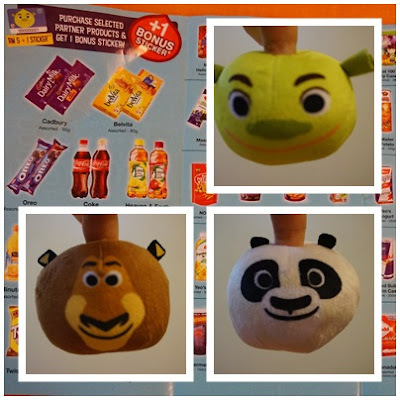 For all the loyal 7-Eleven patrons, good news to all of you and even though you are not, you can always come and visit 7-Eleven near your housing area to collect the cutest DreamWorks KouKou in bite sized form. There are 20 characters of KouKou. 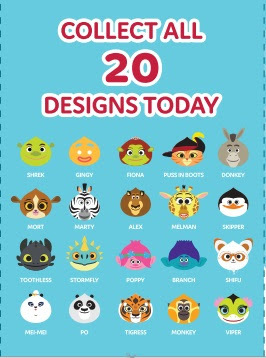 You could find Shrek, Gingy, Fiona, Puss in Boots (Cat), Donkey, Mort, Marty (Zebra), Alex (Lion), Melman (Giraffe), Skipper (Penguin), Toothless, Stormfly, Poppy, Branch, Mei-Mei (Panda), Shifu (Red Panda), PO (Panda), Tigress, Monkey and Viper. If you want to collect all these cute DreamWorks characters, just spend minimum RM5 in a single receipt to get 1 sticker. For bonus sticker, just purchase any products at their participating partners listed below. 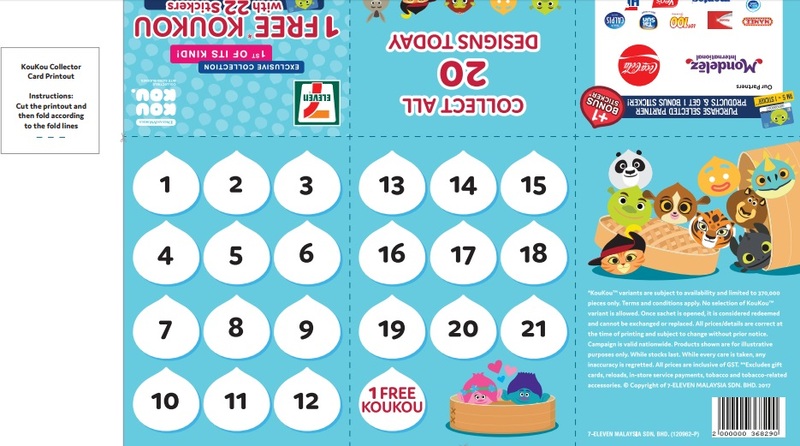 For every 22 stickers, you could redeem 1 FREE KouKou. Sticker issuance period is from 29th August 2017 till 23rd October 2017 and redemption period is from 29th August 2017 till 30th October 2017. Campaign is valid nationwide. KouKou variants are subject to availability and limited to 370,000 pieces only. Excludes gift card, reload, in-store service payment, tobacco and tobacco-related accessories. Terms and conditions apply. 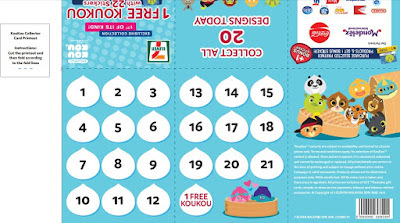 You can collect the KouKou Card at any 7-Eleven outlet at your housing area or click HERE to print for sticker redemption. 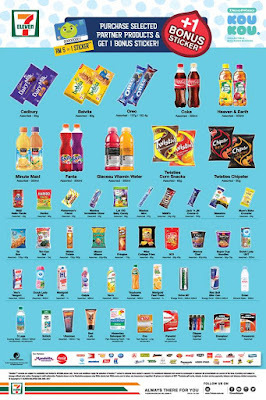 For more information, do log on to their website at www.7eleven.com.my and do follow them at their facebook page at www.facebook.com/7ElevenMalaysia for more exciting and exclusive prizes. The moment that all of us are waiting for. I am giving away 1 KouKou to 2 winners each. If you want to win KouKou characters from me, just comment which character of KouKou that you want and why. 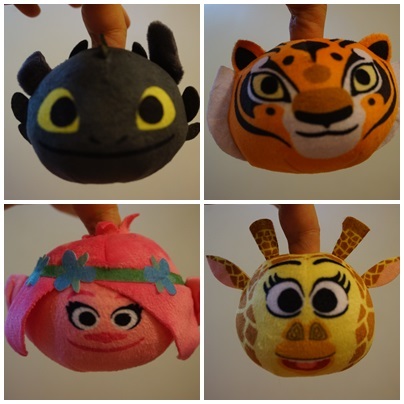 Remember to like my fan page at www.facebook.com/janechua181 to take the prizes away. Contest will start now till 30th Sept and winners will be announce on 2nd October and winners have to collect the prize from me. Good luck !!! Mommy Jane and Little Angels love the cute design of the KouKou. We could put our fingers here and play with each other for a better interaction and immerse ourselves at each of the character of KouKou. We had fun playing together and strengthen our bonding with each other. With the limited pieces available, do get your KouKou now and start your collection while stock last.